In a recent announcement by the American Egg Board Rr. Mickey Rubin has been appointed as the Executive Director of the AEB Egg Nutrition Center. Previously Dr. Rubin served as Vice President for Nutrition Research at the National Dairy Council for eight years. 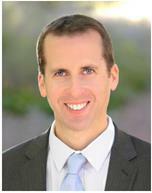 Dr. Rubin graduated from Indiana University-Bloomington with a BS degree in kinesiology. He earned a Master’s degree in Exercise and Sports Science from the University of Memphis and a Ph.D. in exercise physiology from the University of Connecticut where his research interests included endocrinology, sports nutrition and dietary interventions on health outcomes. He is a member of the American Society of Nutrition and other scientific associations.